These seven short lessons guide us, with simplicity and clarity, through the scientific revolution that shook physics in the twentieth century and still continues to shake us today. 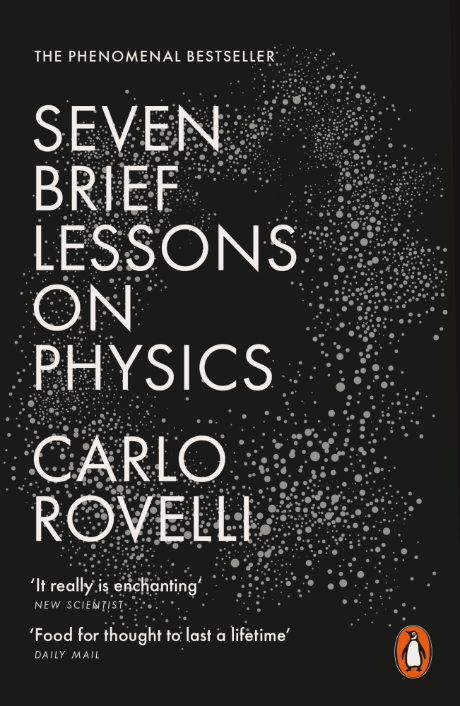 In this mind-bending introduction to modern physics, Carlo Rovelli explains Einstein's theory of general relativity, quantum mechanics, black holes, the complex architecture of the universe, elementary particles, gravity, and the nature of the mind. Not since Richard Feynman's celebrated Six Easy Pieces has physics been so vividly, intelligently and entertainingly revealed.